Reading Food Labels | Is it vegan? The sooner you can read Japanese food labels for yourself the better. Unfortunately, well-meaning people (including those with a good understanding of Japanese) sometimes say food products are ‘ok’ for vegans, when actually they aren’t. They may also say something is ‘not vegan’ when it is, or is likely to be. For example people may say something isn’t vegan when they see the kanji for ’emulsifier’ (乳化剤), which includes the ‘milk’ kanji (乳). While emulsifier can be plant or animal derived, in Japan it mostly comes from soy and other plant sources. Of course to know whether something is or isn’t vegan often requires more than just language skills. It usually also requires knowledge about the source and composition of food ingredients. 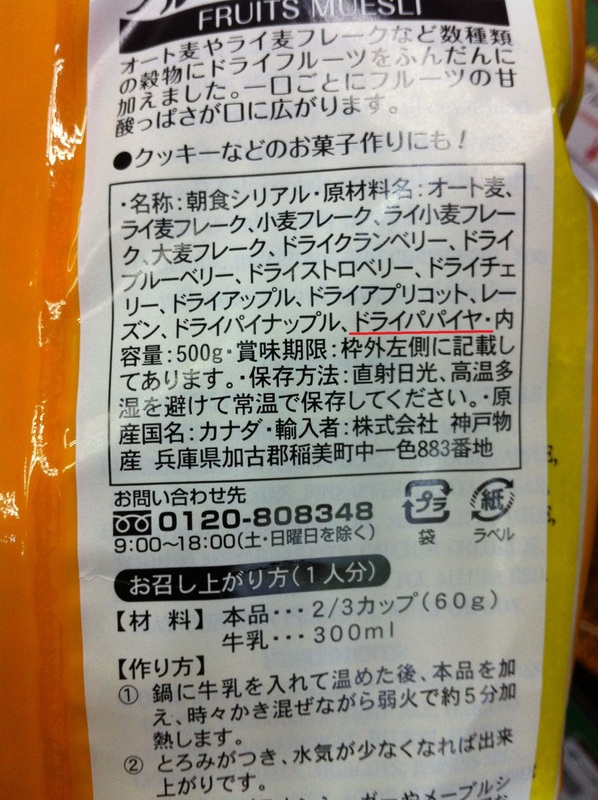 Following is a short guide on how to read Japanese food labels, focusing on the ingredients. Japanese food labelling is not consistent and some labels contain more information than others. But, generally speaking, when checking whether a food product is vegan, there are a few specific places you should look. These are discussed below. 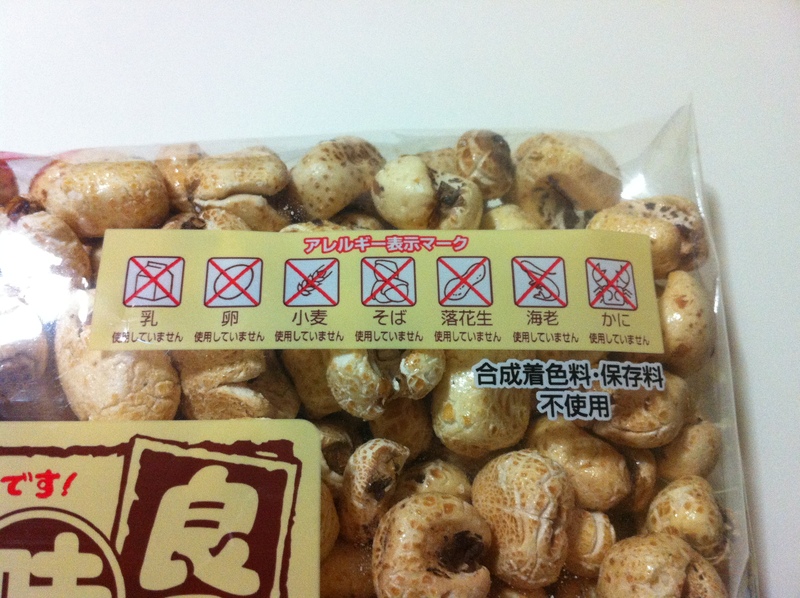 If you are interested, a more comprehensive guide to Japanese food labels can be found on the Surviving in Japan blog. If you don’t know much Japanese, it may be helpful to use a smartphone app like Worldictionary (it uses the smartphone camera to ‘read’ the labels and then provides a translation using Google Translate). If you’re still having trouble, one way to avoid long lists of ingredients is to eat mostly whole foods while you are in Japan. This is an obvious starting point and is marked in red on the example. Unfortunately it may not be possible to determine whether a product is vegan without contacting the manufacturer for more information about the source of certain ingredients. 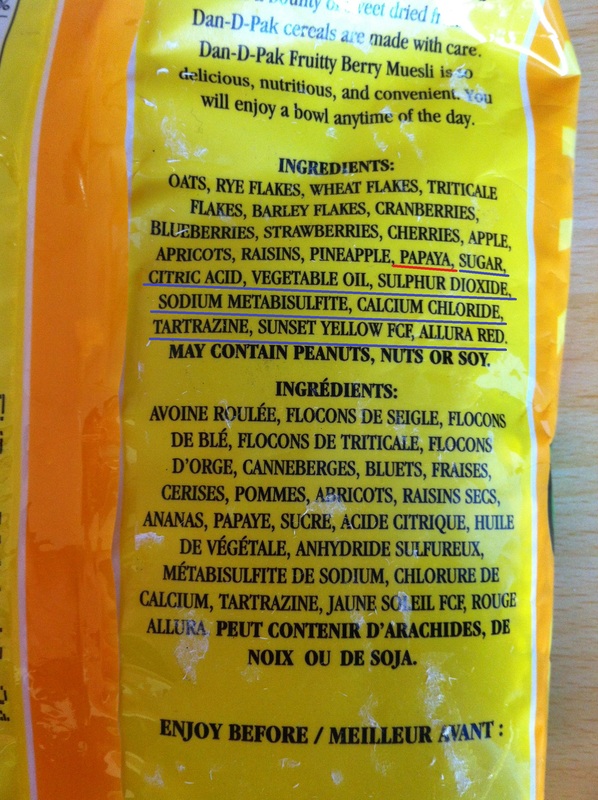 Immediately after the list of ingredients you may see some allergen information in brackets. This is marked in blue on the example. Japanese law requires the labelling of food containing certain allergens like wheat, egg and milk. This section will tell you if there is an allergen in the food product, even if it is just listed as something like ‘flavouring’. There may also be an allergen chart like the one marked in yellow on the example. The allergens in the product are highlighted. Below is a translation of the above allergen chart (note the allergens included in these kinds of charts can vary). This means that the product is manufactured in a facility that also makes products containing egg, milk, wheat and peanuts (in the above example), so there is a possibility of cross contamination. You might also see 有機 (yūki), which means ‘organic’ and 遺伝子組換えでない (idenshikumikae denai) which means ‘not genetically modified’. Please see the Dictionary on this website for more useful words when reading Japanese food labels. The Japanese label was glued over the top of the English and French label. 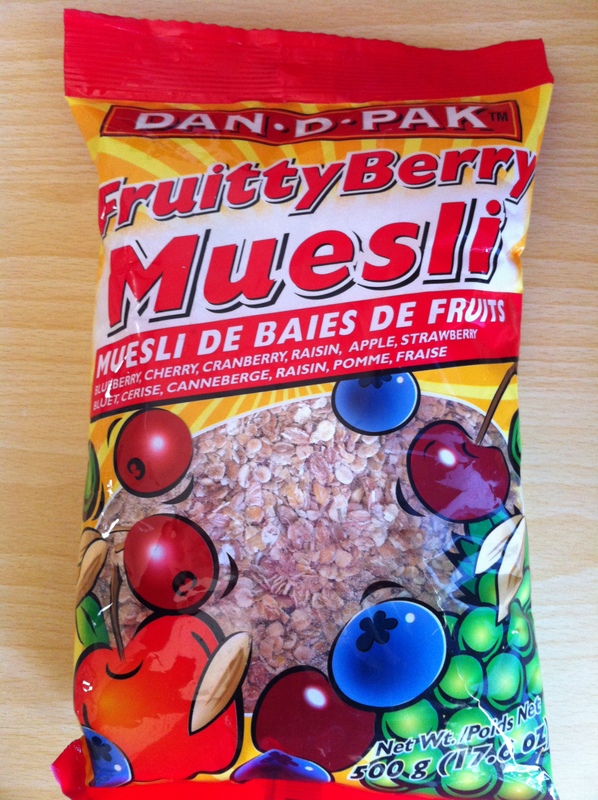 The list of ingredients in Japanese ends with ‘dry papaya’, making the muesli appear very wholesome. However the English label underneath lists the following additional ingredients after ‘papaya’: ‘sugar, citric acid, vegetable oil, sulphur dioxide, sodium metabisulfite, calcium chloride, tartrazine, sunset yellow FCF, allura red’ (see below). Of course this lack of disclosure is concerning, and particularly concerning for vegans. It seems like it would BE GMO… I don’t get it.